When you’re looking for your next rugged SUV, you should consider the Toyota 4Runner as one of your options. Built tough enough to take off roads, but elegant and stylish enough to make it your every day vehicle, the 4Runner offers versatility and power. Get your daily chores done in the Indianapolis area and have fun doing it. 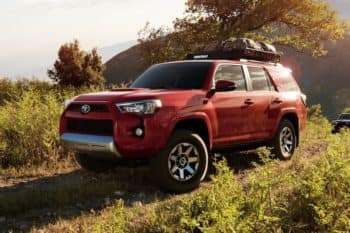 At Andy Mohr Toyota, we have a full stock of different 4Runner models, both used and new, so you’ll have a wide array of options when you start shopping with us. We keep our website updated with our latest inventory, so be sure to stop over and get yourself a sneak peek before you come see us. Whether you’re spending the day in the Indy area or if you’re one of the many lucky individuals who live in the area, you’ll find that there is plenty of stuff to keep you busy during the week and on weekends. Catch a Colts game on a Sunday at Lucas Oil Stadium and then follow it up with some suds at TwoDEEP Brewing Company. If you’re in it for a day with the family, your best bet is to make your way to White River State Park, where you can check out a movie at the IMAX theater, visit a local zoo, or see what the Indiana State Museum has to offer. Then head out for a family friendly meal anywhere in the Indy area. The 2019 4Runner is coming soon to our dealership and we’ll need the room, so come now to shop our 2018 4Runner models. If you’re looking for the entry-level model, you’ll want to see what the SR5 has to offer. 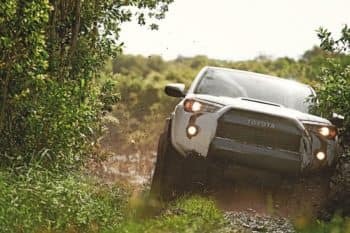 However, if you want something a little more trail-ready, you’ll want to check the three different levels of TRD models that the Toyota 4Runner has to offer. Perhaps you don’t want one of the new models and you want something that’s been tried out by another driver. With the CARFAX® Vehicle History Report™, you’ll find out all of the details you want about your pre-owned 4Runner. Read through our detailed descriptions on our website or come see one of our team members in person. 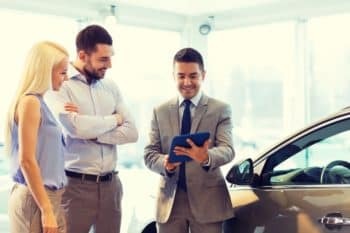 If you’re looking at buying a new vehicle, you have two main options. The first is traditional financing, which we can help you secure by contacting our network of local and national lenders. In conjunction with them, we’ll work to find you the best rates possible. However, you also have the option of leasing your 4Runner, which provides less commitment on your part and a new car every three years. If you’re purchasing a used vehicle, we can also help you obtain financing, even if you have some negative spots on your credit history. We know you need a car in order to achieve your ultimate success, so our special financing can help you get the car you need. Give yourself a fresh start at your life by filling out our online application. Test Drive Your 4Runner Today! When you come to see us at Andy Mohr Toyota, we’ll make sure you have a great experience during your shopping trip. Whether you’re coming to us from the Indianapolis area to purchase or if you’re just here to look, our sales staff will be here to help. Come test drive your 4Runner today!